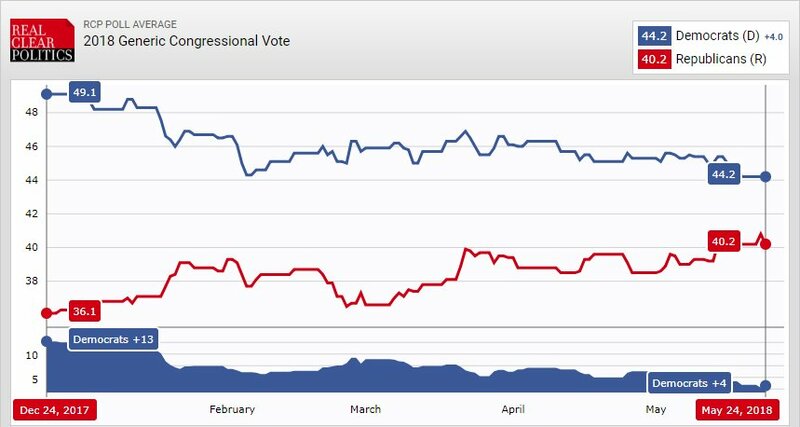 At the beginning of the year, Democrats were leading big on a generic congressional ballot. That has all changed. The accomplishments of the Trump administration in the early parts of the year mixed with a stabilizing economy has bolstered GOP hopes of maintaining control of the House and potentially gaining in the Senate. According to Fox News and Real Clear Politics, the margin for Democrats has shrunk from 13 points to 4 points on a generic ballot.